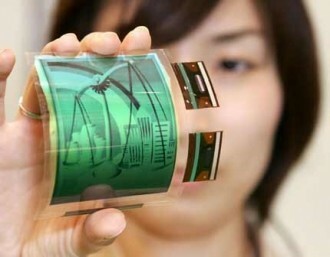 LG is in the process of outfitting a production facility that will be used to create flexible OLED displays. The 3.5 Generation OLED (730x460 mm) line is being installed in LG’s Paju plant in Korea as an extension of the pilot line already in place. LG has tapped two companies, Jusung Engineering and Avaco, to supply encapsulation equipment in deals that are valued at $10 million and $6.7 million, respectively. LG is expected to invest around $176 million to get the line up and running. LG will be using the same type of technology that Samsung is using in their flexible prototypes, a polyimide coated substrate and direct-emission RGB sub-pixels. In laymen’s terms, we can expect to see mobile devices with a plastic covering over the screen rather than glass to make the OLEDs stronger and thinner. This could be bad news for companies like Corning and their Gorilla Glass technology that is used on a number of different handsets. Sources say that LG could begin construction by Q3 2012 with the facility ready for production by the end of the year. Even so, an LG official said it will take at least 1-2 years of R&D before the plant will be able to produce prototypes. We are still likely many years away from the fully flexible “Gumby-like” devices that most envision when they hear of flexible displays. Even still, users should expect to pay a hefty sum of money when the first flexible OLED devices launch, whenever that may be.